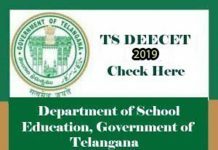 In this article, I am going to give the information about AP SET notification 2019. 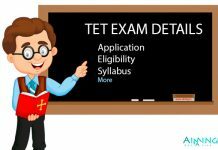 Andhra Pradesh State Eligibility Test or APSET is an eligibility test for applying for an assistant professor position in Universities in Andhra Pradesh, India. This AP SET exam is conducted by Government of Andhra Pradesh on behalf of Andhra University, Visakhapatnam. Aspirants whose goal is to be a professor or lecturer can apply for these posts. 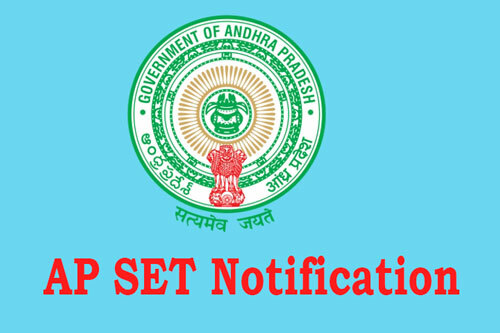 Read the below article for more updates about AP SET Notification 2019. Candidates who are willing to apply for AP SET exam 2019, should have passed Master’s Degree or equivalent exam from any recognized university with an aggregate of 55%. Candidate who will be appearing for the Master’s Degree (final year) exam and waiting for the results can also apply for the test. Candidates who have done Ph.D. degree by 19th September 1991 can also apply for the AP SET exam. There is no particular age limit to apply for AP SET Exam. Here are the application fee details of all categories. You can pay the application fee through online from Credit Card/Debit Card/Net banking. In 2017, AP SET exam is conducted in 31 subjects for which UGC(University Grants Commission) has granted permission. So we are expecting the same subjects in 2019 too. 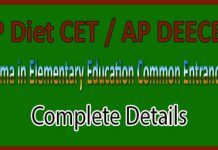 AP SET exam will be conducted on July 2019. Candidates who have applied for the exam and attended the exam can check their results through online from the official website.